Autonomous driving cars are making their way from yesterday’s sci-fi movies, to an imminent means of accessible transportation. 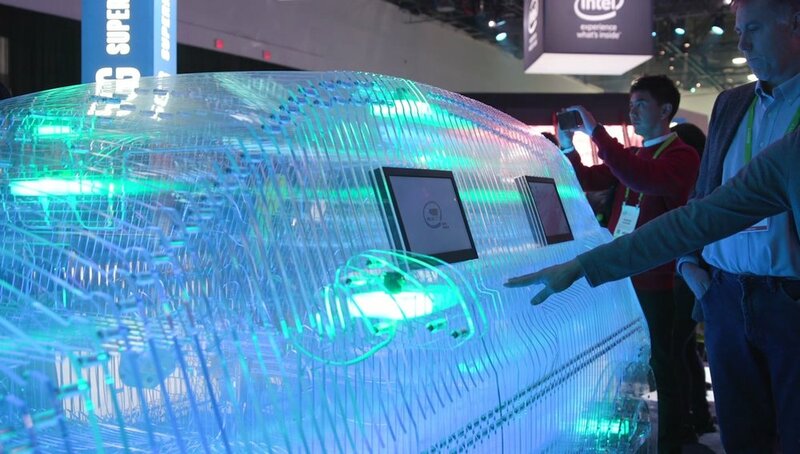 At this year’s CES event in Las Vegas, Intel demonstrated how data is transforming many aspects of the way we live – one of these being the way we travel. For this event, we produced for Intel and Mobileye two stunning, interactive installations artfully resembling full-sized vehicles constructed of clear, layered acrylic that showcased the latest Mobileye sensory technology associated with Intel’s data-propelled autonomous driving systems. Although the art pieces were constructed of numerous layers of acrylic, they appeared to be single glowing masses of luminescence as waves of colored light slowly pulsated throughout the structures, mesmerizing all those passing by. 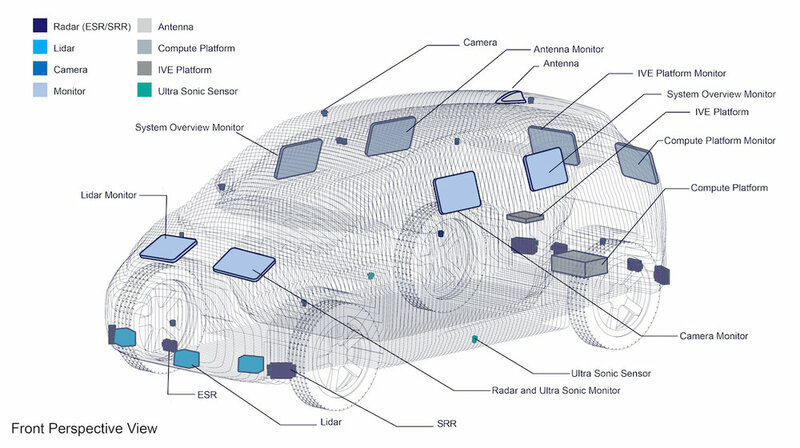 Integrated within the luminous layers of acrylic were Mobileye's sophisticated sensory components. These hi-tech sensors triggered lighting sequences in response to the approach of conference goers, while monitors, skillfully embedded within the multiple layers, highlighted for viewers the sensory technology involved with autonomous driving. Deep within our innovative realm, our digital wizards 3D modeled the vehicles and engineered the overall structure, including support systems and housing for the tech and electrical components all prior to fabrication. To optimize efficiency, we were able to keep all aspects of this project under one roof, just like many of the fascinating projects we've collaborated on. So once the designs were approved, the digital information was passed on to our in-house artisans and used to laser cut many of the acrylic pieces, while additional elements were 3D printed, molded, and cast in clear material. To ensure a seamless effect while being illuminated, we utilized sophisticated molding techniques that resulted in a flawless finish. 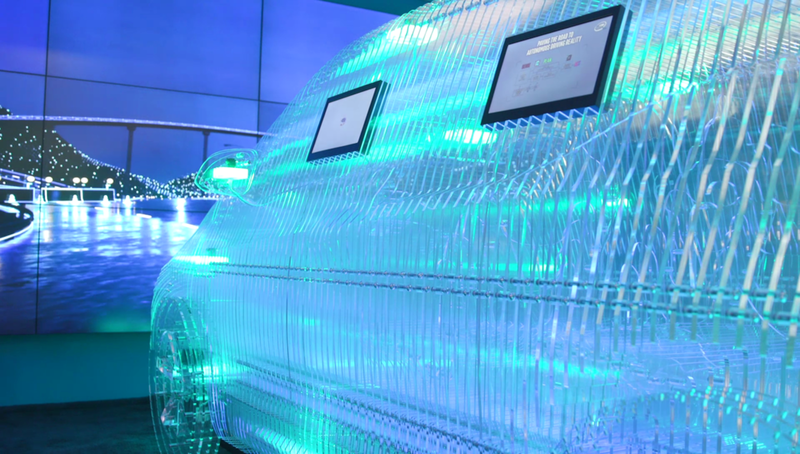 Our electrical geniuses designed interactive control systems that powered the lighting displays throughout the structures giving a sense of mobility to the static vehicles as light and color coursed through the acrylic layers. If you did not have the opportunity to interact with these displays at 2018 CES, there may be a chance they’ll make additional appearances in the coming year – we’ll keep you posted. Keep scrolling for an additional CES exhibit we were involved with. CES is an immense showcase of the latest innovations in consumer technology as well as the tech of the future. Among those exhibiting at the convention was a company called Psychasec, displaying their innovative means of human preservation. Spokespeople for Psychasec informed convention goers of their soon-to-be-released production of healthy human sleeves into which our consciousness and memories can be uploaded, maintaining youthfully fit vessels for us to exist in year after year, after decade, after century. Gone will be the days of bodily diseases and deterioration. Humans will be able to live forever in the body of their choice. The exhibit included two human bodies or sleeves that were available for future uploading along with a test body in a preservation bag that viewers could touch. Written material was available for those interested, including press releases, social media postings, and the company's website which explained in detail this innovative process. There were some who considered this new technology too ethically controversial and as a result, formed a protest group outside the convention. 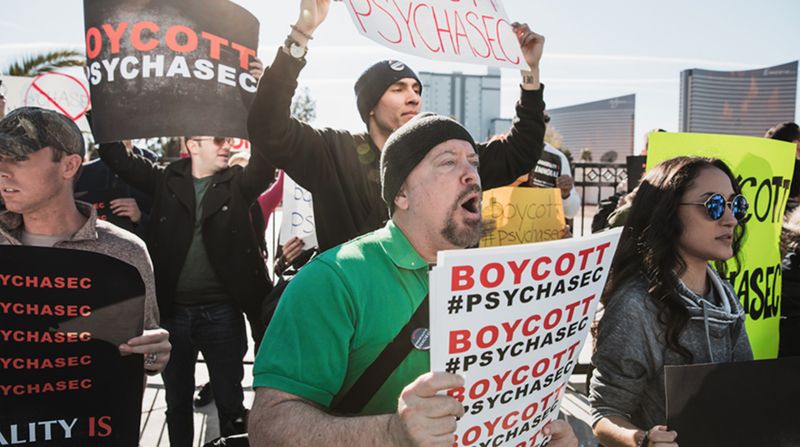 To add to the drama, it appeared someone in opposition broke into the convention center one evening and vandalized the Psychasec booth, destroying much of the display. For more information regarding this sophisticated future tech, please take a look at the informative video below.